The new start menu available in Windows 10 gives many layout options. This post will focus on how you can make the Windows 10 start menu tile groups wider. In Windows 10, you can group tiles (icons) into logical sets of related items. Each group can then be positioned where you want it to display on the start menu. If you are unfamiliar with groups for the Windows 10 start menu, you can find... 19/11/2015�� Go to Start Menu. 2. Click on Option or Setting 3. Personalization 4. then Click on "Start" (in left sidebar menu) 5. then turn On/Off "Use Start Full SCr... 2. Click on Option or Setting 3. 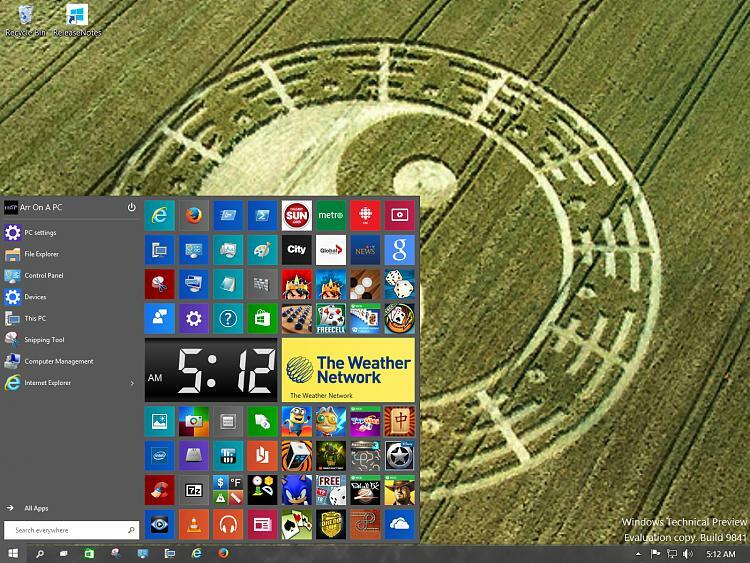 The Start Menu is one of the most useful and customizable elements of Windows 10. And the fact that you can easily make it full-screen sweetens the pot even more. Take it for a whirl, and sound off your thoughts in the comments below.